Heaven Riders India in the simplest of terms is collection of minds and spirits who love the mountains and nature for all it has to offer. Mountaineering and trekking to say the least has one important ingredient-passion. Having said that it also needs a soul which is Adventuresome. We at HRI strive to provide the best experience one can have in exploring the enigma and beauty of the Himalayas in all its pristine majesty. 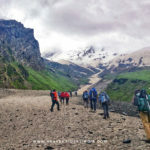 We offer a whole range of activities ranging from high altitude Himalayan treks encompassing Eco-Tourism to adrenaline filled sports like Paragliding, Mountain Biking, Guided Motorbike Trips on the various routes on offer etc. We ensure that if you choose to go on a trip with us you will indeed experience the ‘Freedom of the Hills’. Nature is the ultimate provider for us all and its preservation is out foremost duty. The best camps leave no trace and when we say no trace we mean none at all. The next camper should not even know that the site has been previously used. Spending nights in an alpine environment is one of the delights of mountaineering and trekking. Mastering the arts of camping and alpine cooking ensures that no place is littered or left in a dirty state. We at HRI have kept this to our foremost duty and responsibility and expect no less from our clients. Littering or leaving a campsite in a dirty state is not tolerated under any circumstances and utmost discipline in this regard is enforced. It is for us the cardinal principle. To this end we have the best equipment in class to ensure that the experience of exploring with us is a safe and memorable. Vishal would have married the mountains if he could. As they say it was love at first sight. Vishal worked with reputed media houses for 8 years as broadcast journalist. During that time the tug of the mountains did not leave him and he went for treks and hikes as frequently as his job allowed him to. He finally decided, after 8 years to leave the media sector and follow his passion. With that in mind he founded HRI. Vishal is an experienced trekker and a certified mountaineer from the prestigious Nehru Institute of Mountaineering, Uttarakashi. The perpetual smile does not leave his face and generally gets wider and wider as you gain altitude. 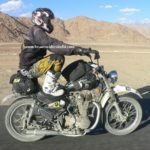 Vishal has traveled widely having explored Ladakh, Himachal Pradesh, Uttarakhand, Rajasthan, Assam, Meghalaya & Goa while trekking and on solo bike trips. Aditya is an engineer by qualification but a mountaineer at heart. He’s worked with a number of corporates like Reliance etc. But as his heart was always in the mountains he decided to tread the path of following his dream and passion. This very passion led him summit a major Himalayan Peak i.e. Mount Deo Tibba (6001 meters). He joined HRI after it was founded by his close friend Vishal. Aditya is a certified mountaineer from ABVIMAS, Manali (formerly Western Himalayan Mountaineering Institute). A quite and thoughtful person with a heart of gold, his love for the mountains and all that they have to offer rubs off any person who meets him. At the same time Aditya is also a tough disciplinarian when it comes to keeping the Himalayas clean and green, and any person found littering when in his vicinity is bound to face his ire.